Sam Roberts is the man behind Ujeni Motors, a custom/restoration shop based out of Santa Cruz, California. I had the good fortune of stumbling into him at the recent Long Beach International Motorcycle Show, and I knew I should hit him with the usual questions to share his story. 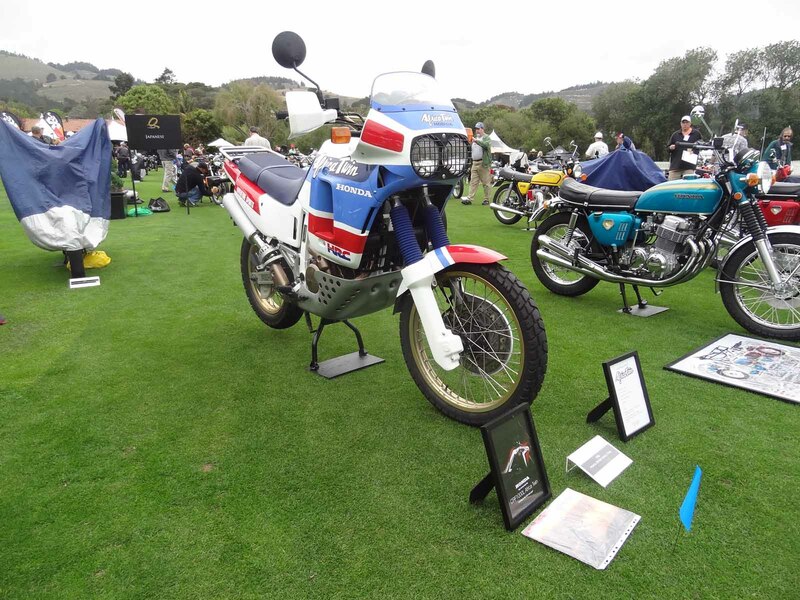 I first saw Sam’s work at the Quail Motorcycle Gathering this summer, where I spent a few minutes drooling over a beautiful Honda Africa Twin that he had restored. Fast forward a few months to the Long Beach IMS. Honda’s about to announce the new Africa Twin and they were featuring a restored classic example of the breed as well. 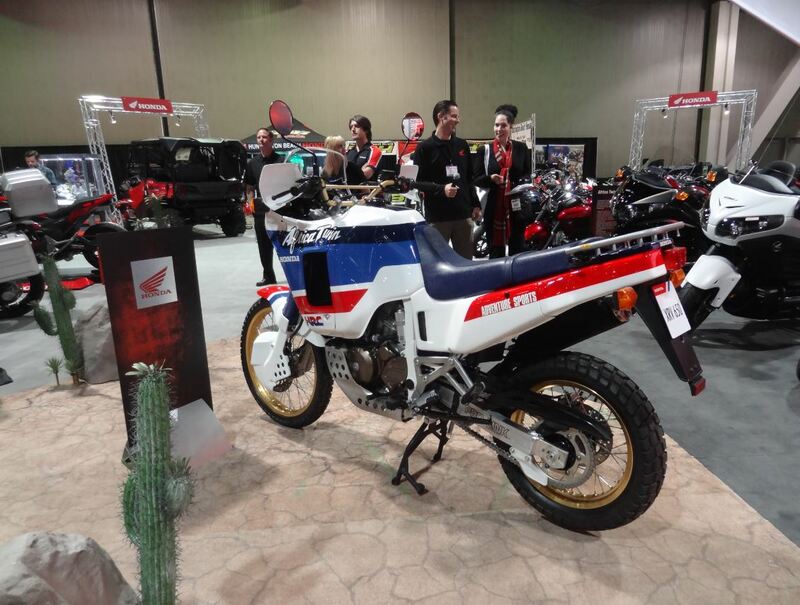 I drooled over this bike as well – I remember telling Troy Siahann that this classic Africa Twin was the coolest bike at the Honda exhibit. Sam came up to me and introduced himself, and then let me know he restored the bike. I asked if this was the same bike from the Quail, and he blew me away by saying that it was a different one. He sold that one, but Honda liked his work so much they asked him for another XRV650 to take on tour – and he cranked out this restoration in 45 days! How did you get started with motorcycles – how did you learn, and what was your first bike? It all happened in Africa! I was living in Malawi with my wife (a Peace Corps volunteer) and I decided I needed a motorcycle. My wife’s father was visiting and he walked me through the basics. I found a ratty old Yamaha DT125 in the capital city and wobbled it more than 200km back to our village. I was lucky, though I didn’t realize it at the time, that I was the owner of quite a lemon! That bike broke down daily which forced me to learn how to fix it! I had some really great moments on deserted roads in Africa with that bike. What bikes do you currently own? I have yet to meet a motorbike that I didn’t like. That said, I do prefer vintage bikes. I own many first generation Africa Twins and very early 1969 CB750 sandcasts (no, I’m not telling you how many…it’s a bit embarrassing!). I have a 1971 CB750 K1 and a 2000 Africa Twin that I ride daily. I’m currently working on a 1989 Africa Twin Marathon Dakar replica. My wife lets me ride her 1958 BMW R50 occasionally, too. There is a 1966 Honda CA160 “Baby Dream” that a pal and I are almost done restoring. I also have a few bikes in the queue for clients of course. It goes without saying that I have a new CRF1000L Africa Twin on order. The first in California I am told! Assume for a moment that money is no object, and importation laws aren’t a problem. 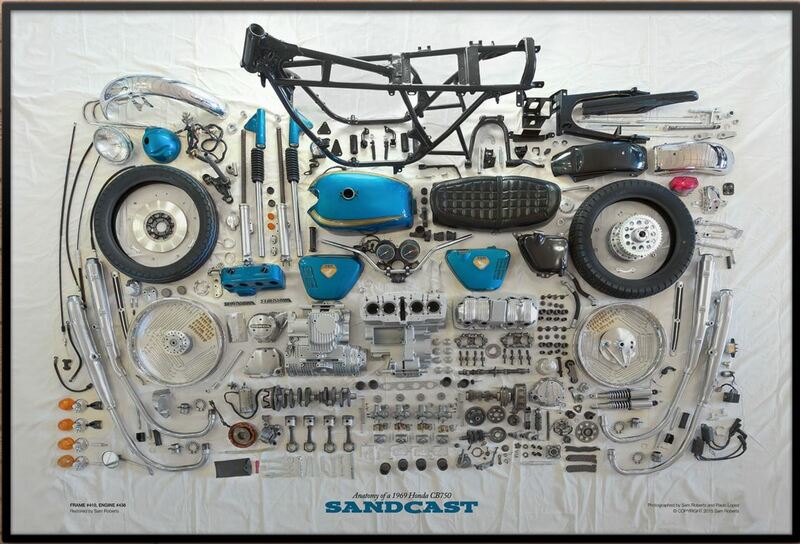 What’s the next bike you’d buy, and what would you do with it? Oh man, my answer won’t be the same from day to day on this one. Two bikes come to mind: a 1930 Henderson Four KJ and a Britten V1000. Both are incredible engineering and design achievements. If I had to choose one, it would be the Britten V1000; it is perhaps the most amazing story in the history of motorcycling (are you listening Hollywood?). I would ride the bike and, when not riding it, I would park it in the living room and just stare at it. By the way, if you want to see these two machines and many more incredible bikes, you need to visit the Solvang Motorcycle Museum. I sat in front of the Britten V1000 for two hours once. Apparently, I wasn’t the first to do that! What’s the most memorable motorcycle trip you’ve ever taken? I’ve been lucky to ride on three continents so far. Africa is, by far, the most memorable for me. Riding there cemented my love for traveling on two wheels. Do you listen to music while riding? If no, why not? If yes, what are some of your favorite tunes when you’re on your bike? Never. Riding is a zen experience for me. I do listen to music constantly when I am restoring bikes though. One of my favorite artists is Helios; a gentleman named Keith Keniff. Inspirational stuff. My favorite new artist is The Japanese House. I went through a ton of riding jackets until I found Rukka. Now I use Rukka jackets everyday. They aren’t cheap, but I honestly have never found a better jacket; extremely durable, great fit and excellent protection. You have $25,000 to spend on anything in the world of motorcycles – 1 new bike, several old bikes, track days, a trip, you name it. How do you spend it? I’m doing this now actually! For the past few years I’ve been restoring bikes in my tiny one-car garage. A few fellow bike builders and I have found a large warehouse here in Santa Cruz and are setting up shop! Multiple lifts, a dedicated welding area and room to display our bikes. It’s a dream come true! How did you go from someone who’s passionate about motorcycles to taking it to the next level and trying to start a business in the industry? I began restoring motorbikes for myself in my spare time. I worked for Apple as a designer for many years, so it was a welcome contrast; high-tech during the day and low-tech on the weekends. Eventually, I started thinking about restoring motorcycles like I did about design; that it was a craft…a brew of skill, determination, creativity and practice. A lot of practice! Once it switched from a hobby to a craft in my head, I started taking things to the next level. I connected with the old guys in the field to absorb as much as I could. I brought my bikes to shows to see where I could improve my work. As often as possible, I refused to “sub-contract” parts of the restoration to other people. For example, most restorers don’t paint their bikes; they send them off to be painted by a shop. I took the time (a lot of it) to teach myself how to paint. Eventually other people started noticing my work and asked me to restore their bikes. It seemed natural to formally offer restoration services. You clearly have a preference towards classic Hondas – why is that? I have never been able to ignore the gravity of historical importance. Though every motorcycle manufacturer holds a page in the history books, I think Honda has a chapter or more all to itself. Mr. Honda changed the motorcycle game in the 60s with small, affordable and reliable motorcycles designed for the masses and then showed the world that it could build high performance bikes with the CB450 and then the CB750. Its hard to understate the arrival of the CB750 especially! As a student of history with a love of clever engineering and design, how could I ignore Honda? What do you expect from the future of motorcycling, good or bad? It is difficult to not be excited about motorcycling today. 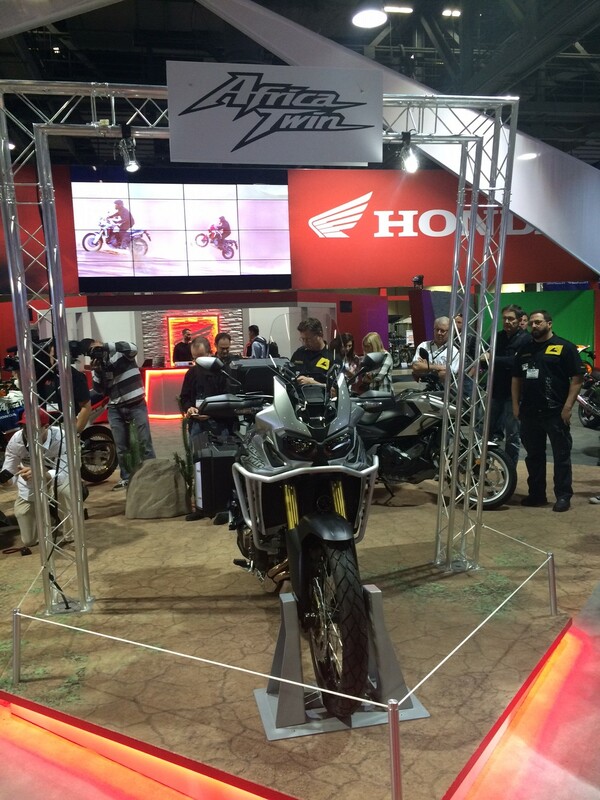 The new Africa Twin will be a major hit in the adventure world. Harley Davidson is appealing to new riders. Indian is back with bikes worthy of the name. Triumph has a brilliant new engine and Ducati continues to show the world what style and performance look like. I think motorcycling is perhaps healthier than it has been in a long time. I’m even optimistic about the future of electric motorcycles! What can I say? I live and breathe these machines!